About 15 years ago, Blockbuster dominated the video rental market. At its peak, it operated over 3,000 retail stores both in the United States and abroad. By 1999, it owned a 30% market share easily outdistancing rivals Hollywood Video and Movie Gallery. Even though the video rental market was maturing, Blockbuster was the unquestioned king of the mountain. This is a case study in how failing to keep up with customer demands and industry trends can sink even the industry’s alpha dog. And it can happen quickly. While Blockbuster was still primarily focused on the brick-and-mortar business model, Netflix pioneered a whole new concept. They bet that consumers would choose a monthly subscription service model that offered unlimited rentals delivered right to their homes free of shipping charges. More importantly, Netflix realized early on what Blockbuster was too late in figuring out – that customers hated being charged late fees and would potentially pay a premium in order to avoid them. 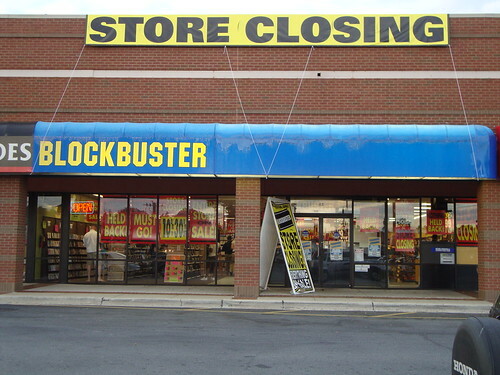 The knock on Blockbuster was that they were unwilling to listen to customer complaints about late fees. Blockbuster continued charging $4 or more for a new release title and would charge another day’s rental fee if you returned the movie even a minute late. Netflix banked on pulling customers away from Blockbuster who were tired of all the late fees and due dates by allowing them to keep the disc for as long as they’d like without any late fees. Boy did it work. After their debut in 1999, Netflix passed 1 million subscribers in 2002 and eventually surpassed 14 million in 2010. Blockbuster was suddenly on the ropes and needed to respond. 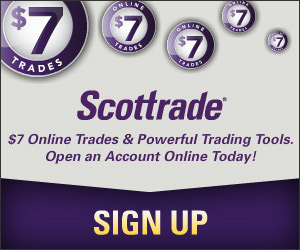 They realized that their bottom line as well as their reputation was getting hammered by the late fee structure so in 2004 they announced that they were eliminating late fees altogether by allowing a one week grace period for returns. This move helped stop the bleeding for a little while but Netflix was already preparing to land the next haymaker in the movie rental war – a move into online video streaming. Netflix was looking to cut overhead cost and figured the easiest way to do that was to try to get customers away from ordering DVDs (which cost money to produce, stock and ship) and instead have them stream videos and movies on their computers. The major advantage to consumers was that there was no wait to get the next movie in their queue. It worked. Netflix correctly surmised that people would choose to order movies at home or over the web. This move helped Netflix continue to gain subscribers and market share while Blockbuster, hampered by the reputational damage caused by their late fee policies as well as the legal war fought by upper management, found themselves struggling to maintain profitability and customer loyalty. Unfortunately for them, the final nail was about to be driven into the coffin. Redbox started in 2003 as a quirky concept launched by, of all companies, McDonald’s. They placed self-service video rental kiosks outside a select few of their stores and they became a hit. McDonald’s has since exited the video rental business but Redbox has thrived and expanded on a very simple business model that went right after Blockbuster. Whereas Netflix competed with Blockbuster on service and fees, Redbox competed on price. Responding to Blockbuster charging over $4 for an overnight rental, Redbox charged just $1. The result has seen Redbox expand to tens of thousands of kiosks across the country. For its part, Blockbuster responded by launching its own $1-per-movie kiosks in 2010 but by then Redbox had long since grabbed the king’s throne in this space. Netflix captured the monthly subscription and online streaming space. Redbox captured the discount overnight rental space. Blockbuster? Late to the party in both spaces. Blockbuster filed for bankruptcy in late 2010 before being acquired by Dish Network earlier this year. It seems unlikely the Blockbuster name will survive. Blockbuster seems to be a great case study in failing to listen to your customer base and failing to stay current with customer demands. Blockbuster insisted on maintaining its late fee policy while Netflix and Redbox both arrived on the scene as more consumer-friendly alternatives. Blockbuster failed to capitalize on the general public’s move to using the internet to conduct its business and it will ultimately cost the company its life. The fall of Blockbuster should teach businesses everywhere to listen to their customers and to work hard to stay on top of consumer trends. The consequences of failing to do so could be disastrous. You mean to tell me that fleecing your customers because you have the majority of market share is a bad business policy? Looks like Blockbuster, GM, and AOL should have listened. Great article, and great analysis. If you’re afraid of change, then you might as well hang up the gloves because your customers will move to the next company willing to offer what they need. Blockbuster sank faster than the Titanic! This was a great post. The content actually kept me reading throughout its entirety. A lot of these finance blogs just don’t peak my interest. Oh, and I had no idea McDonalds was behind RedBox. Thanks for the info! When you look beneath all of the complexity of a business two things really matter, the customers and the products or services. If a company doesn’t provide the products or services their customers want, someone else will. If a company abuses customers for a profit, they will jump ship at their first opportunity. It’s amazing how many arrogant and overpaid CEOs keep forgetting this. I would add, although it’s harder to demonstrate, that Blockbusters failure points out the vital importance of customer service in general if a brick and mortar store wants to survive. Aside from the late fees, I never had an experience in Blockbuster that didn’t involve rude or apathetic employees, and most people I’ve mentioned it to had similar stories to tell. I am a Luddite! Not a big fan of tech, streaming, or ordering by mail. I never would have chosen to go to Netflix: I was actively pushed away from Blockbuster.